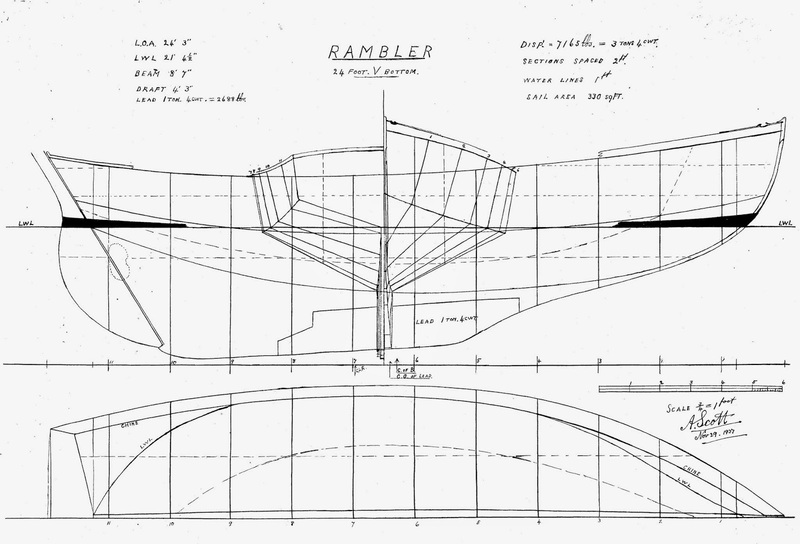 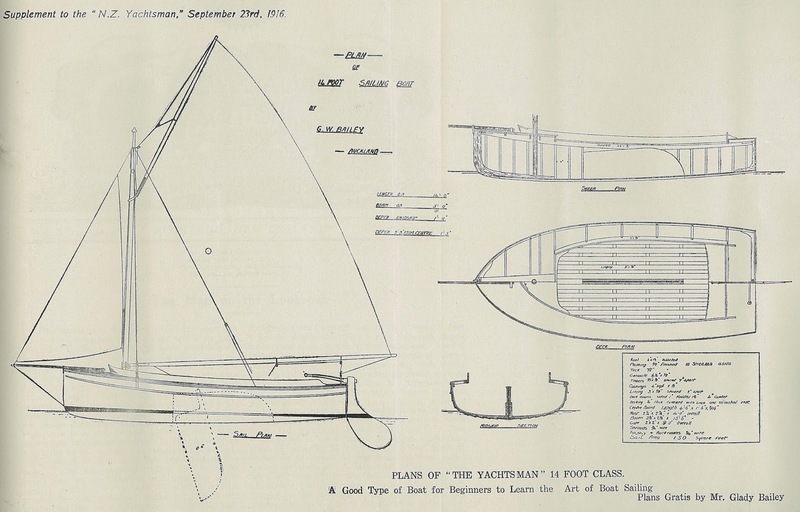 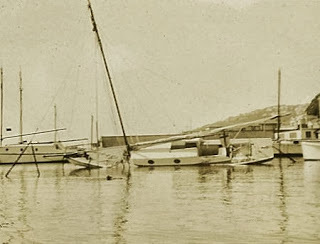 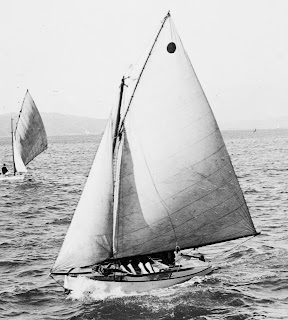 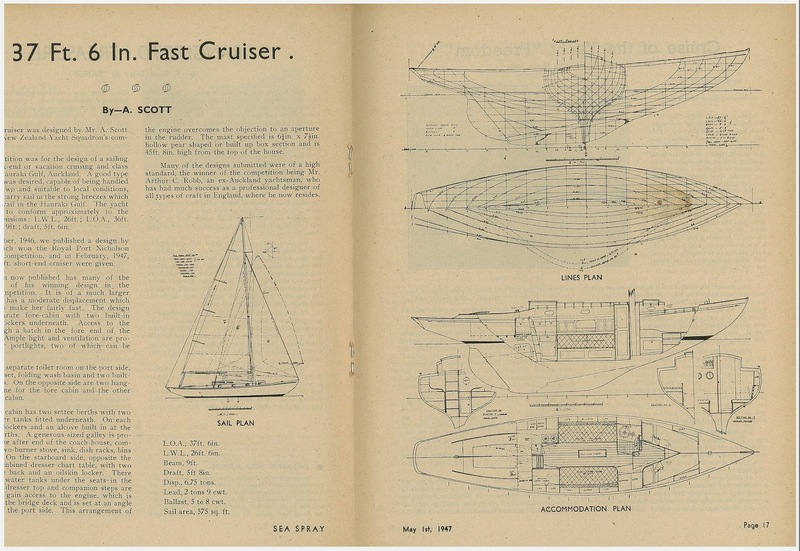 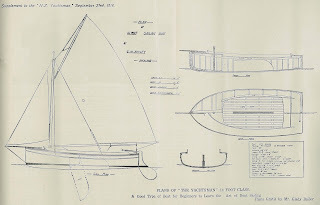 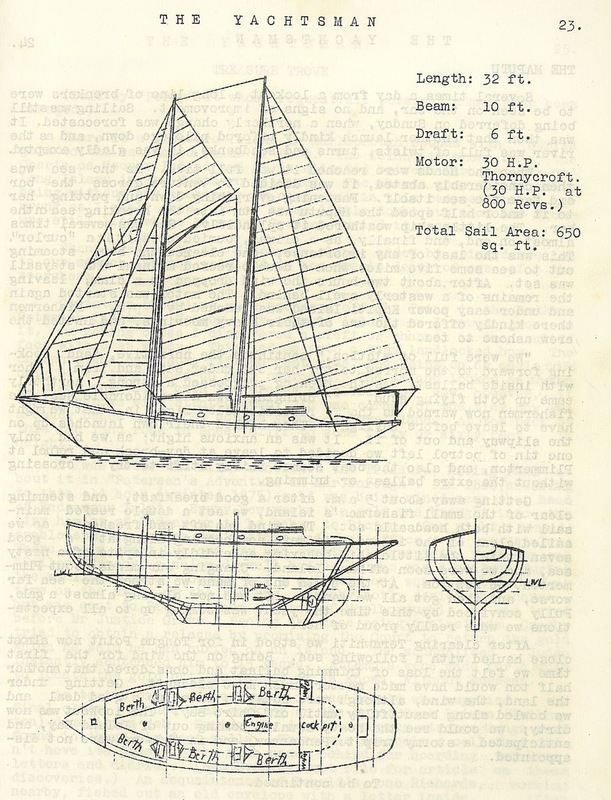 Ilex was a large cruiser-racer type yawl designed by the Logan yard. 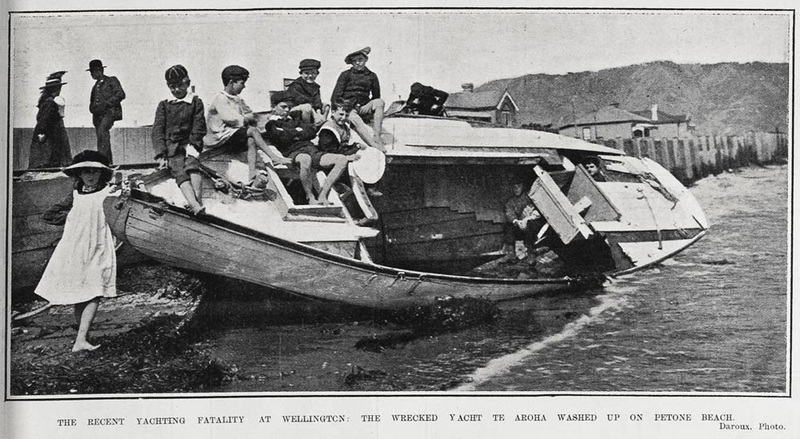 She was Wellington-owned for only about four years - but they were significant ones. Ilex had many adventures, and was associated with some pretty interesting people. 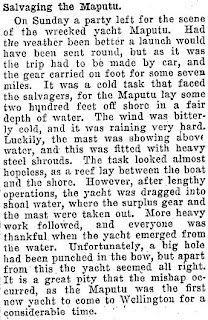 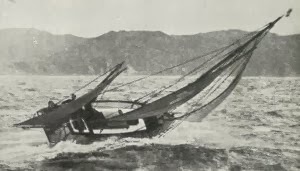 A powerful boat, she saw her fair share of stormy weather and near disaster, before finally succumbing in the Pacific. 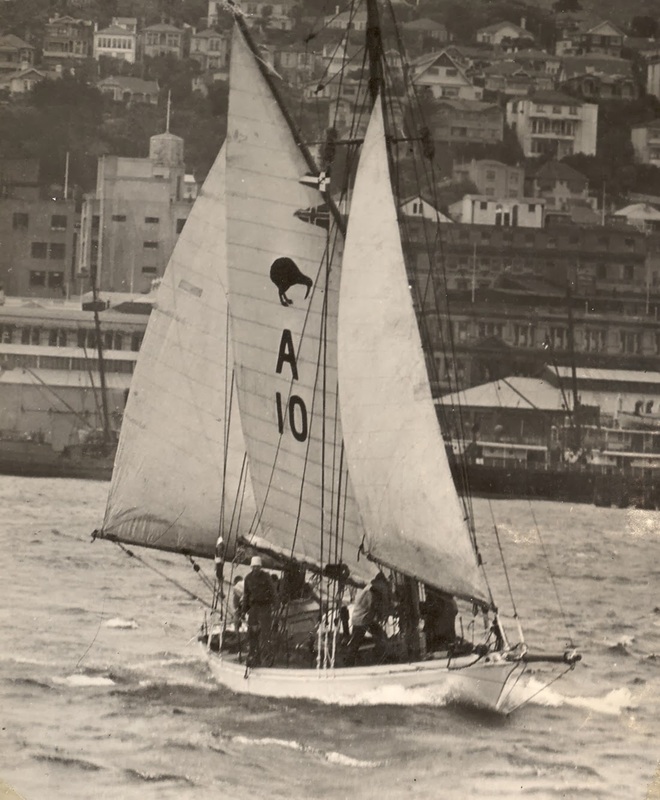 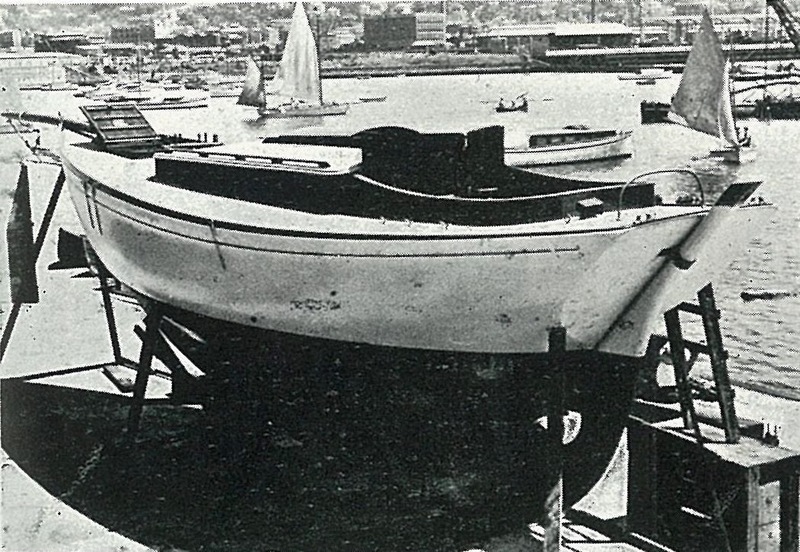 In 1946, representing Wellington, she was the first NZ yacht to compete in the Sydney to Hobart yacht race. 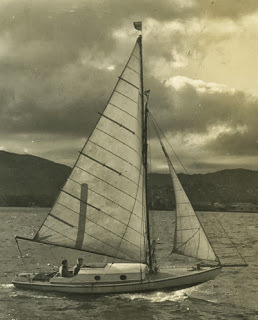 She was built by Logan Brothers for R. H. Shakespeare and Capt. 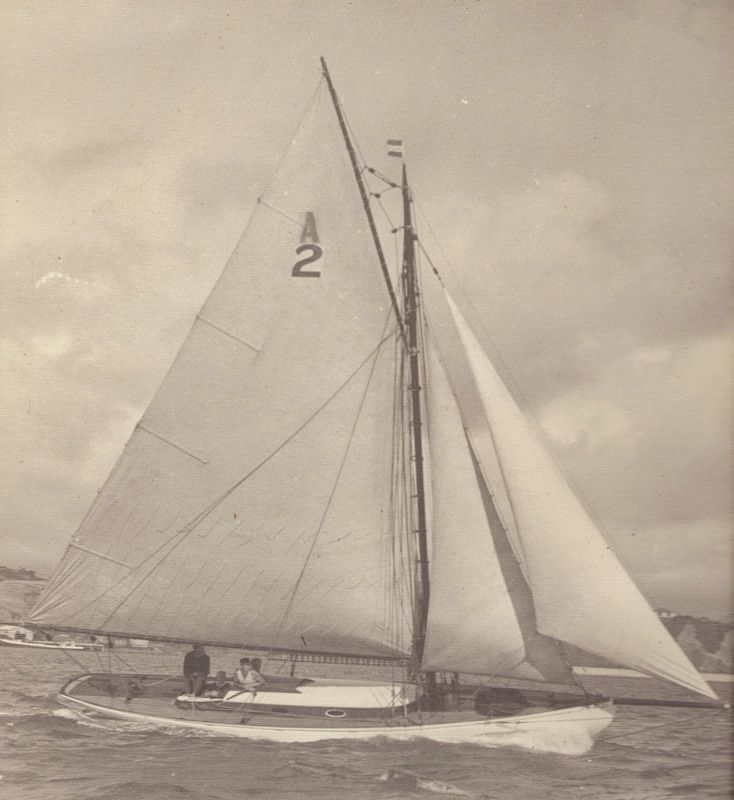 W. Spenser Stanhope of Barrier Island, and launched 7th May 1903. 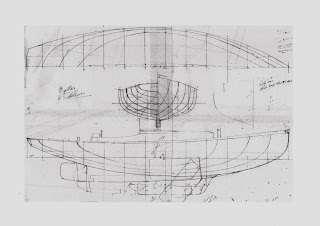 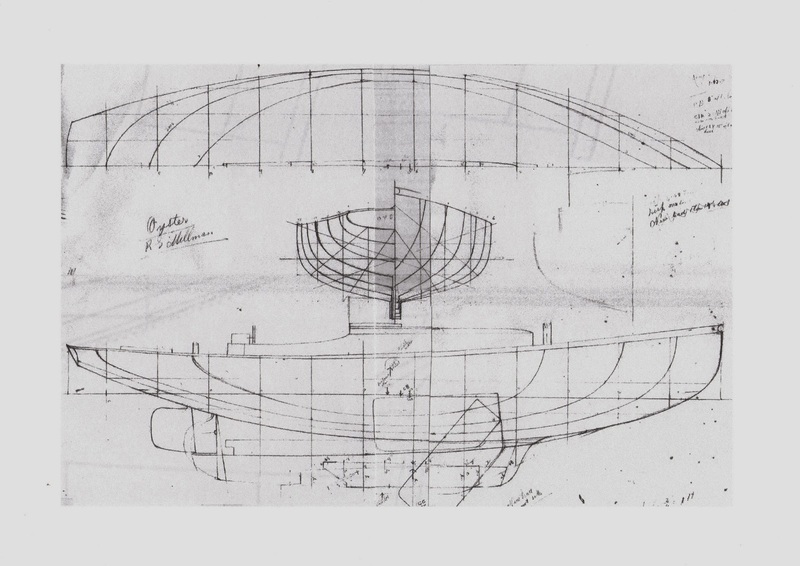 Ilex' construction was of triple-skin New Zealand kauri, in true Logan fashion her planks ran the full length of the boat. 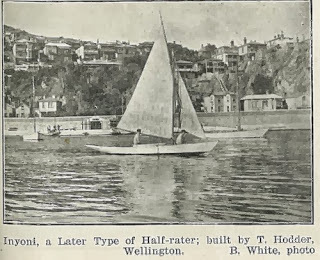 She was intended as a cruising boat, and fitted out as such, with her interior panelling carefully highlighted with blue and grey paint, with gold and oak graining. The upholstery was of Pantasote (an easily maintained hard-wearing imitation leather). 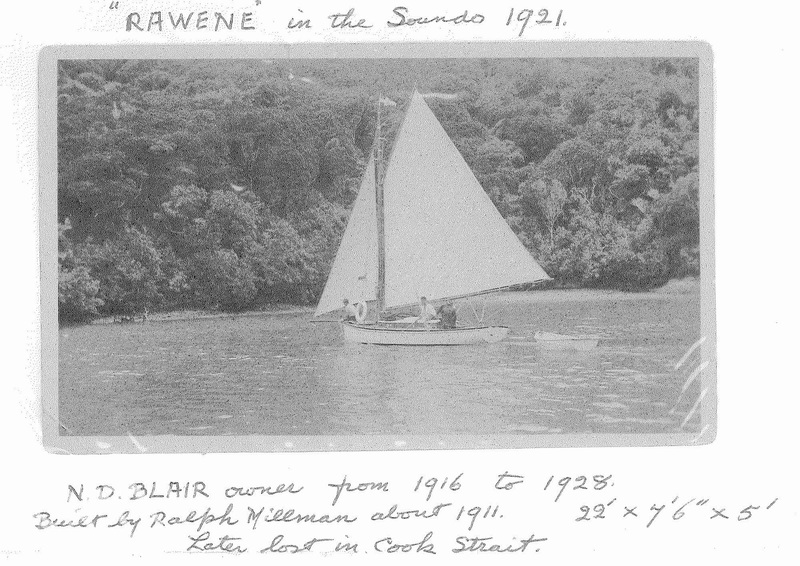 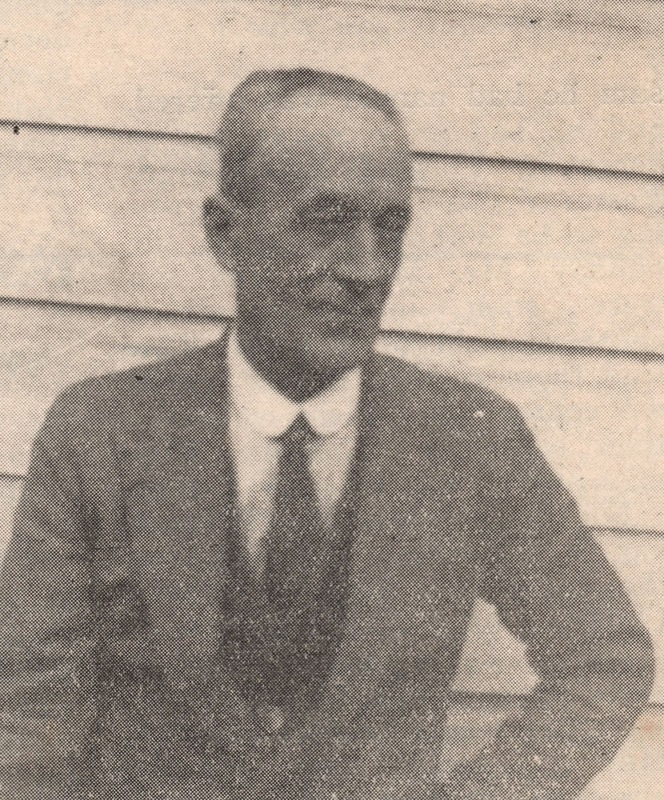 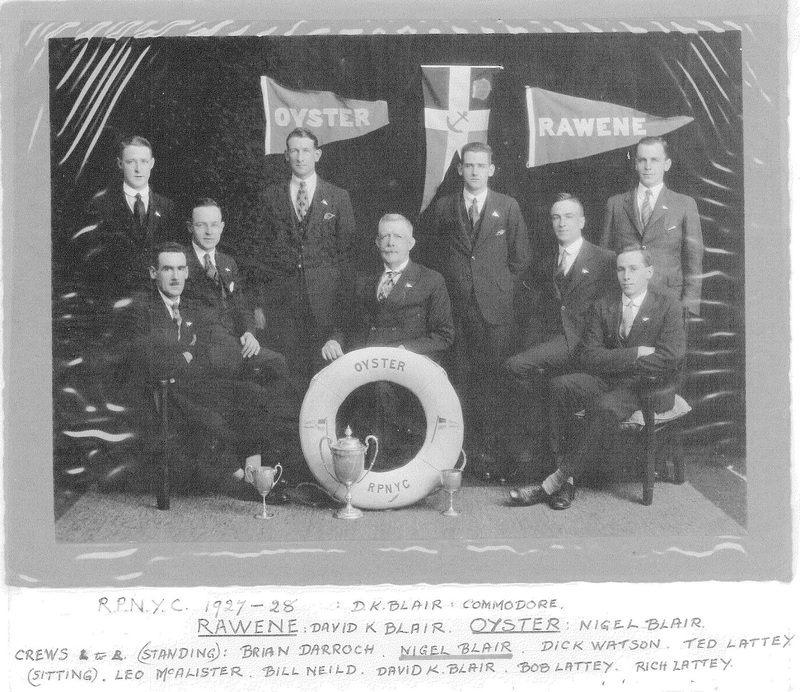 During May 1904 at Kawau Ilex played host to Premier Richard Seddon who was on board for a fishing holiday. Macky converted her to a cutter in 1911. 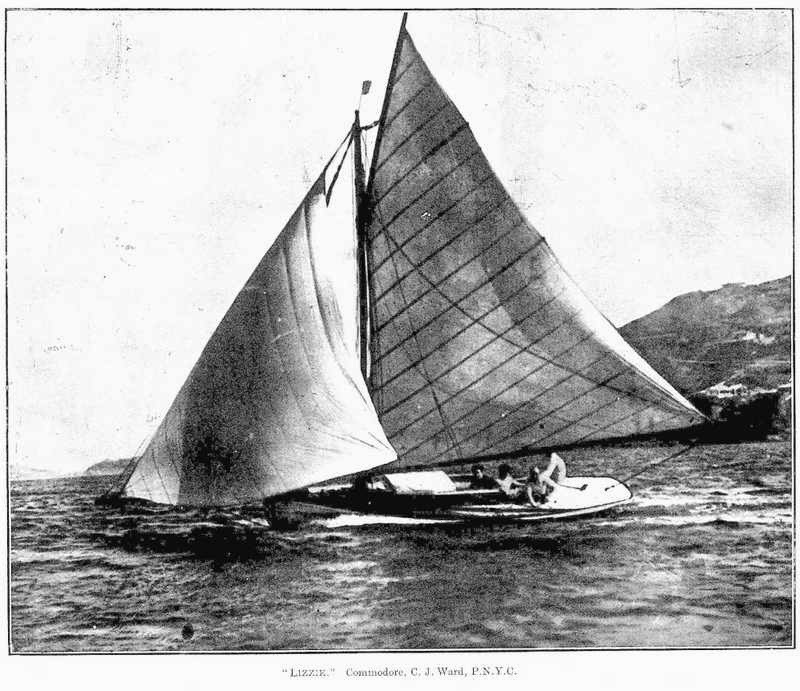 In March 1913 she was for sale, but she was still owned by Macky when he and his wife, on the way to visit family, were killed when the Lusitania was torpedoed in 1915. Ilex was purchased and brought to Wellington via the East Coast by Norman Thomas in 1944 . 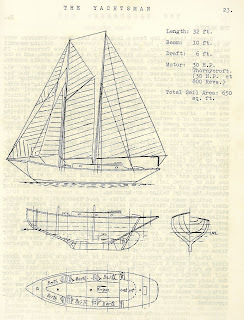 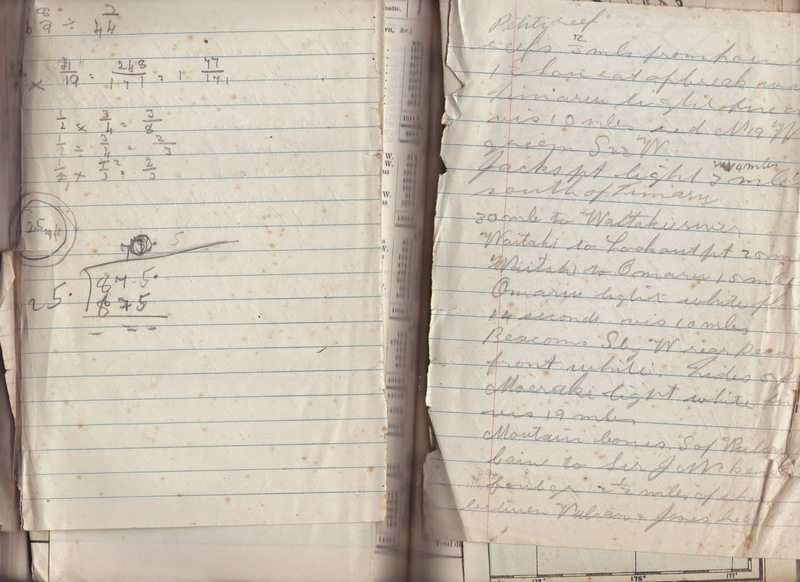 He constructed a new robust wheelhouse, and converted her to a ketch rig. 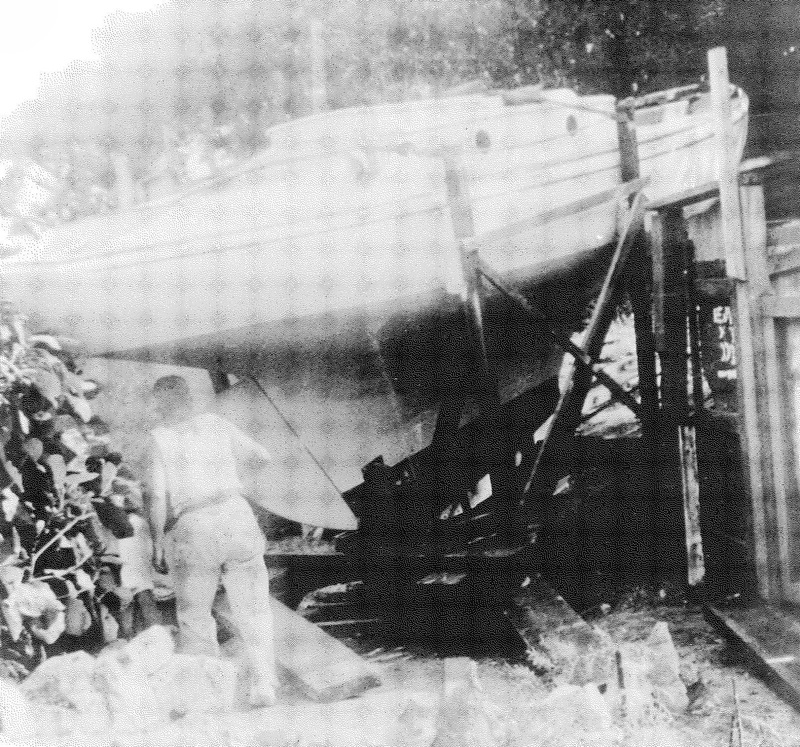 When WWII ended, he set about covering many miles in her. 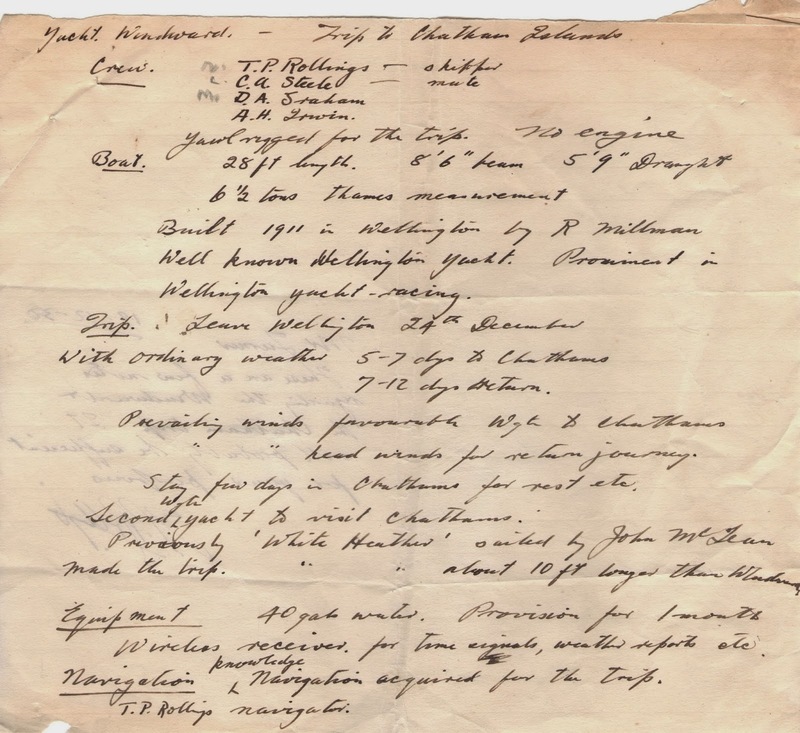 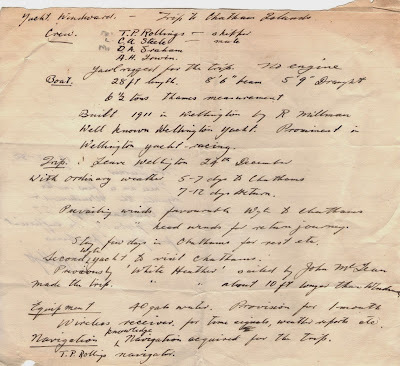 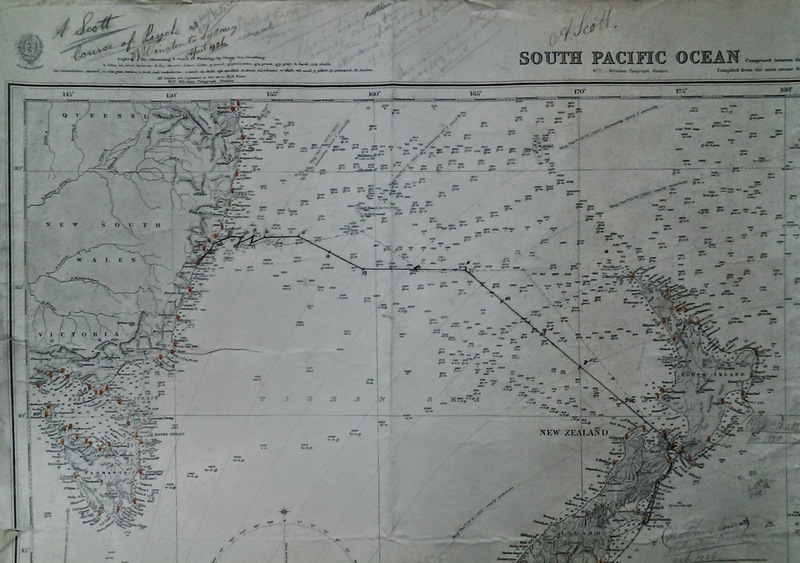 On top of regular trips to the Marlborough Sounds, his first sizeable passage (December 1945) in Ilex was to New Plymouth, then on to Onehunga. 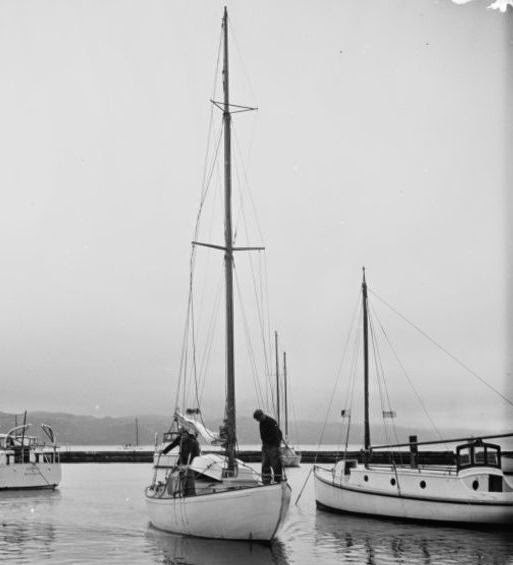 Satisfied with the cruise, in February 1946, Ilex departed for a circumnavigation of the South Island. 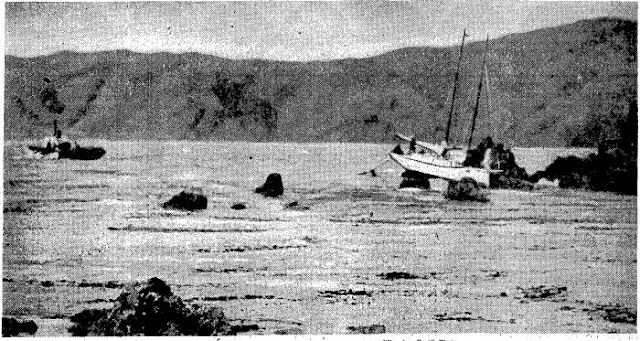 She almost came to grief on the West Coast however, when they sailed into a gale. 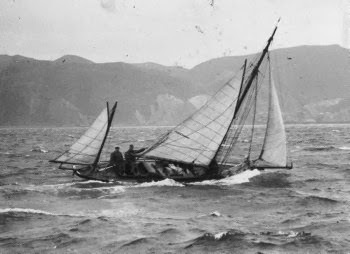 Seeking shelter in Bligh Sound, all anchors dragged, as the cliffs created a terrifying wind tunnel. 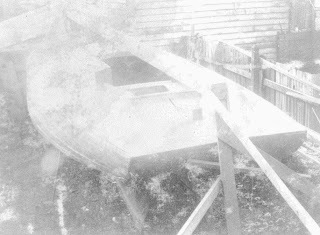 Manoeuvring bare-poled, she finally fetched up at the last possible moment. Lines were made fast ashore and they waited out the gale. 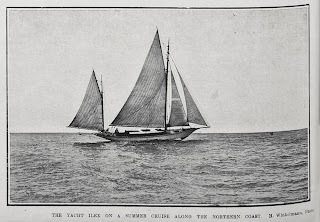 The circumnavigation took 19 days. 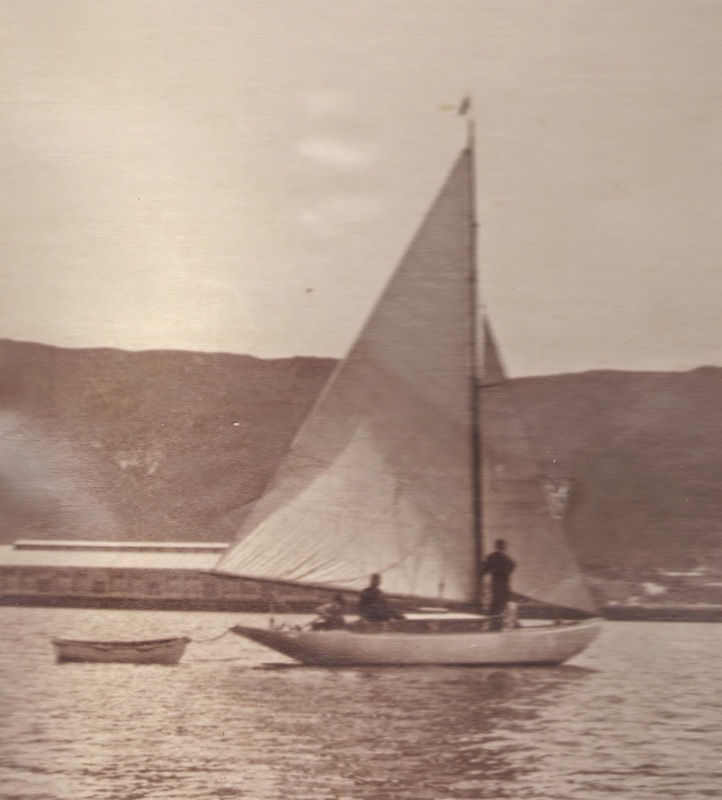 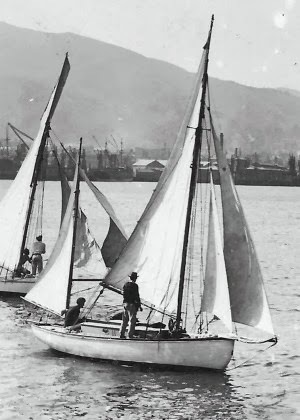 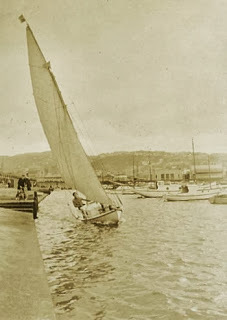 Mr Thomas was obviously a keen chap, and decided the next thing to do was to take Ilex across the Tasman to enter the first Sydney to Hobart race. They departed November, and arrived after 13 days of gales and headwinds, on 11 December. 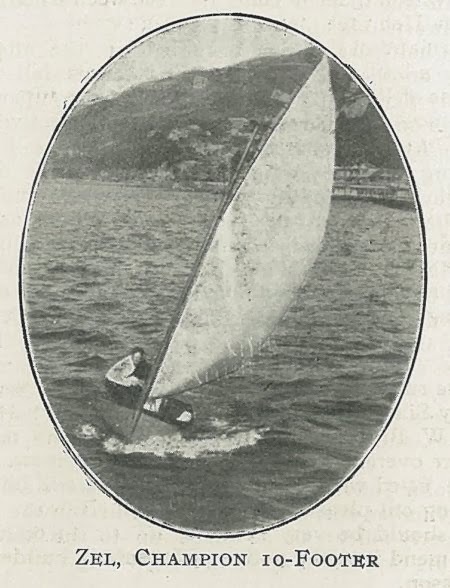 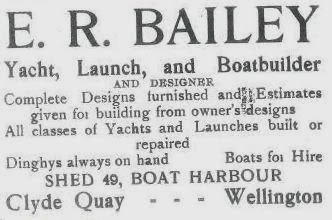 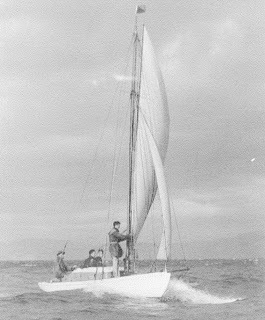 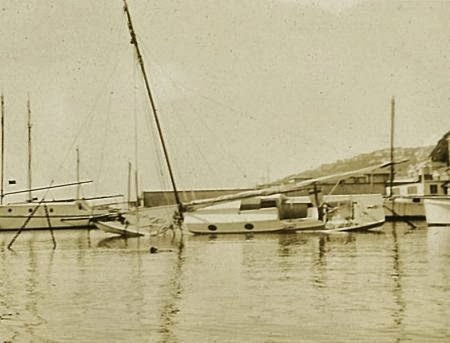 Ilex, representing Wellington, under the banner of both the Royal Port Nicholson Yacht Club and the Evans Bay Yacht and Motor Boat Club, was the first NZ yacht to compete in the race. 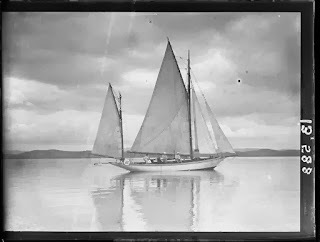 It turned out to be something of a damp squib however, and after a couple of days in very large swells but no wind, they withdrew from the race, and motored on to Hobart. 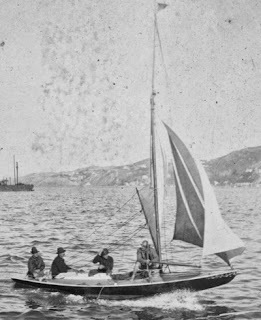 The return journey Hobart to Wellington took eight days. 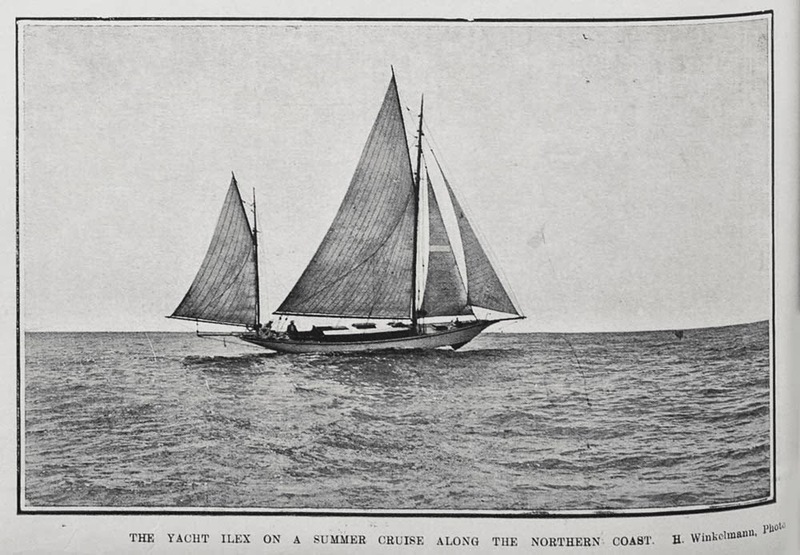 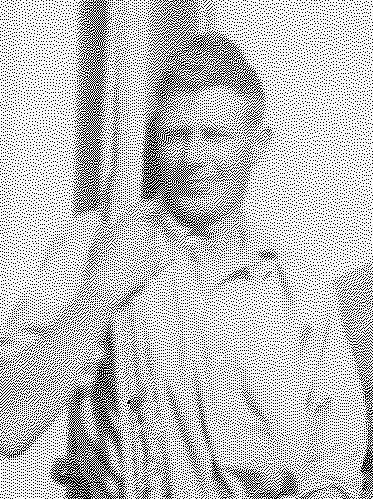 Norman's son Roydon was a crewman on board for the crossing, and at 13 years old, remains the youngest active crewman to compete in the Sydney-Hobart race (there have been younger people participate since, but all have essentially been passengers). 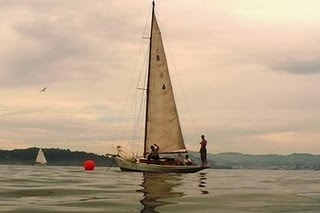 With a lower age limit now set, it appears likely this record will stand for some time to come. In 1948 Thomas sold Ilex to the Free Church of Tonga. 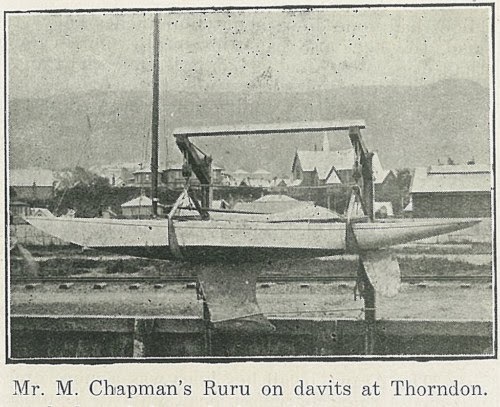 Norman and Roydon Thomas were both among the delivery crew to Tonga, and received a great welcome there. 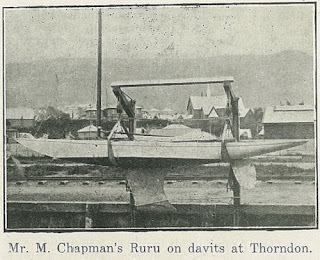 The Free Church of Tonga renamed her Tu'uakitau, with Queen Salote officiating. In 1957 she was purchased by Tofa Ramsay, and renamed Tuiakaepau. In July 1962, she was wrecked at Minerva Reef. 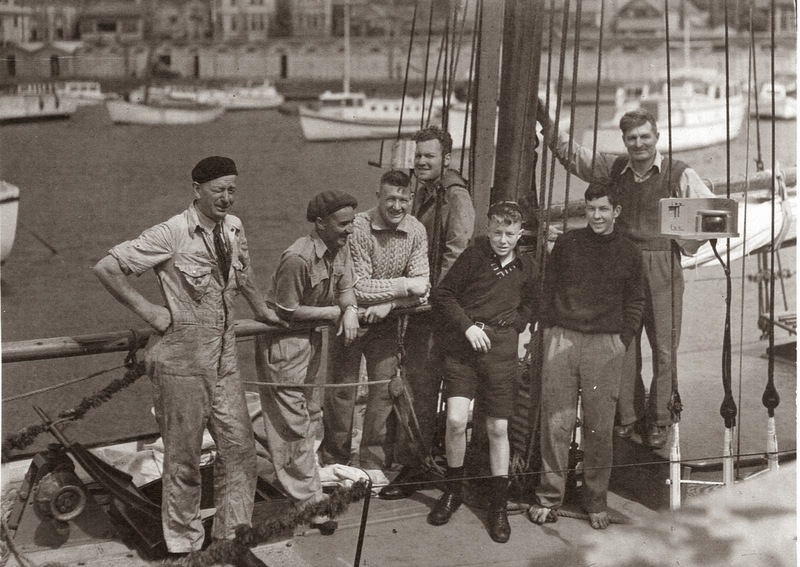 All on board survived the accident, and lived inside the wreckage of a Japanese freighter which had also come to grief on the reef. 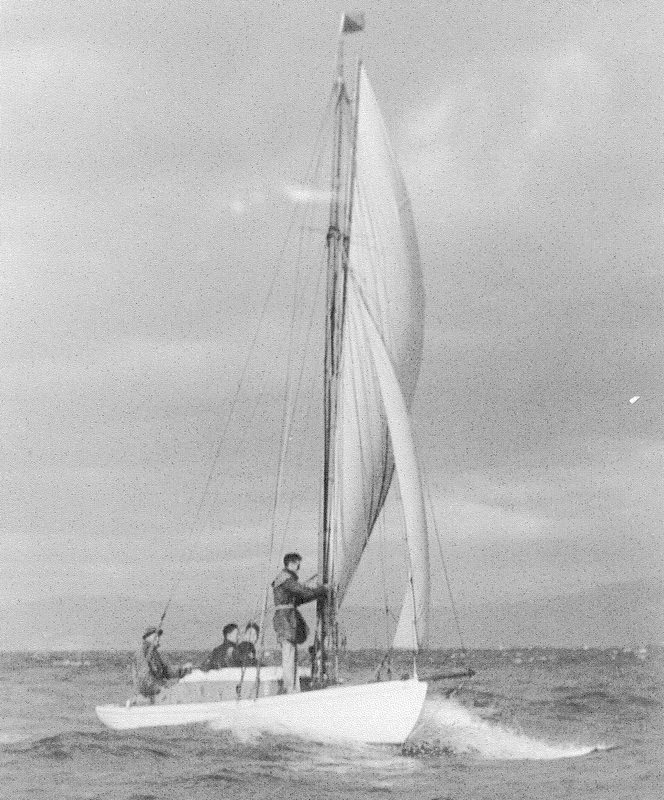 After several months, four of the 17 had died through exposure. A boat was made from the wreckage, and two men put to sea to find help. 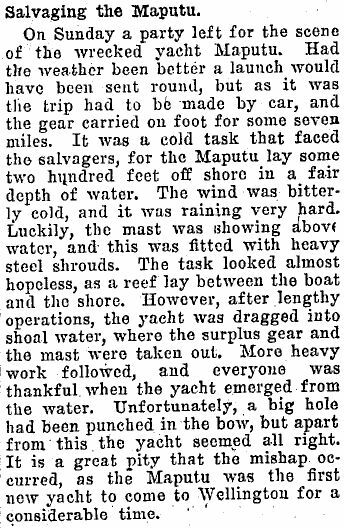 The story of this episode makes interesting reading.